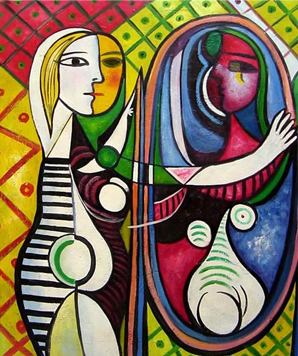 Pablo Picasso is a Spanish artist who worked in many different fields of art including painting, sculpting, printmaking, ceramics, and stage designing. He already began having a love for drawing at an early age and had some formal training from his father. At an age of thirteen, his father saw him finish one of his unfinished sketches of a pigeon and has declared that his son has surpassed him in skill because of his technique. Later on, his father worked at the School of Fine Arts and allowed Pablo to take an entrance exam for the advanced classes. It took him only a week to complete it compared to other students where it generally took a whole month. He later was enrolled into the Royal Academy of San Fernando at the age of sixteen but quit classes soon after enrollment due to his dislike over formal instruction. Picasso’s Personal Life was filled with many events. After World War I, he made many friends and was introduced to the high society formal dinner parties. He had an affair with Marie-Thérèse Walter during this time but remained legally married to his wife until her death to avoid French divorce laws. During the Second World War, he remained in German-occupied Paris even when his art was against Nazi ideas. Because of this, he was unable to exhibit any of his work during this time. Germans also outlawed bronze casting during this time but Picasso continued the art regardless thanks to the bronze being smuggled by the French Resistance. During this time, he also took the time to write poetry and had many more affairs. 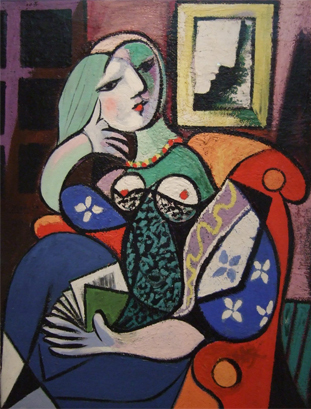 Picasso worked on many forms of art. At an early age, he show great skill for a beginner artist. He followed the Blue Period where the colors blue and blue-green were commonly used. He followed the Rose Period where more cheery art styles were used including the colors orange and pink. He also followed the African-Influenced Period where art was inspired by African artifacts. Later on, he joined the cubism movement. 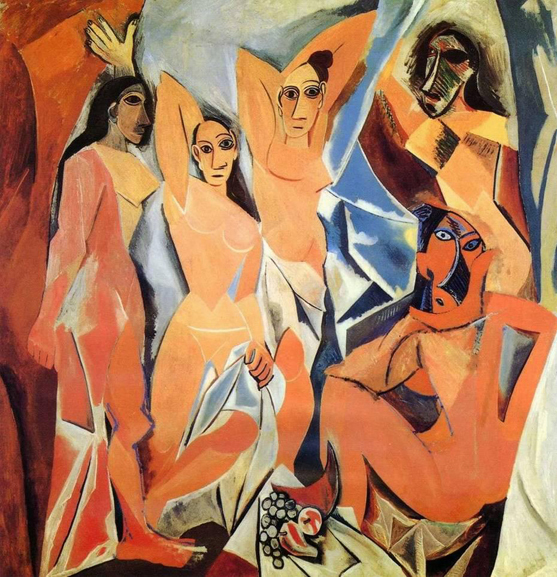 Picasso joined the cubism movement in 1907. He began in analytic cubism where he used many monochrome brownish and neutral colors and mainly analyzed objects in terms of their shape. In 1912 to 1919, he began in synthetic cubism which was a development of analytic cubism but used cut paper fragments and pasted them into a compositions. This was the first time a collage was used as fine art.